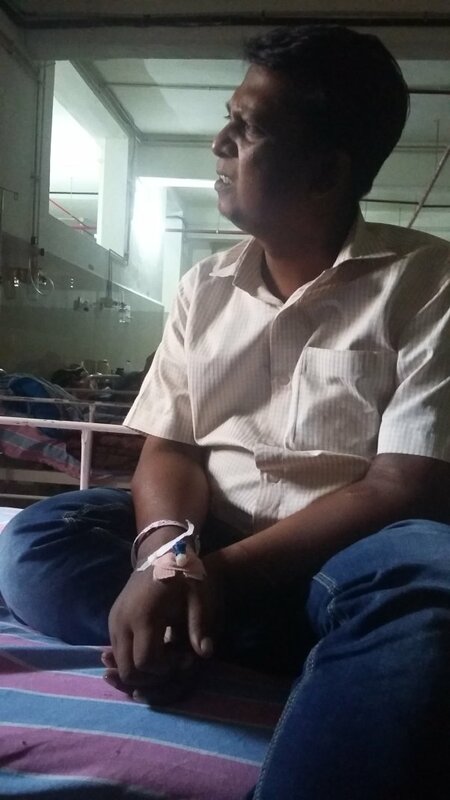 Myself Thambi (44) has been struggling for 10 years now. 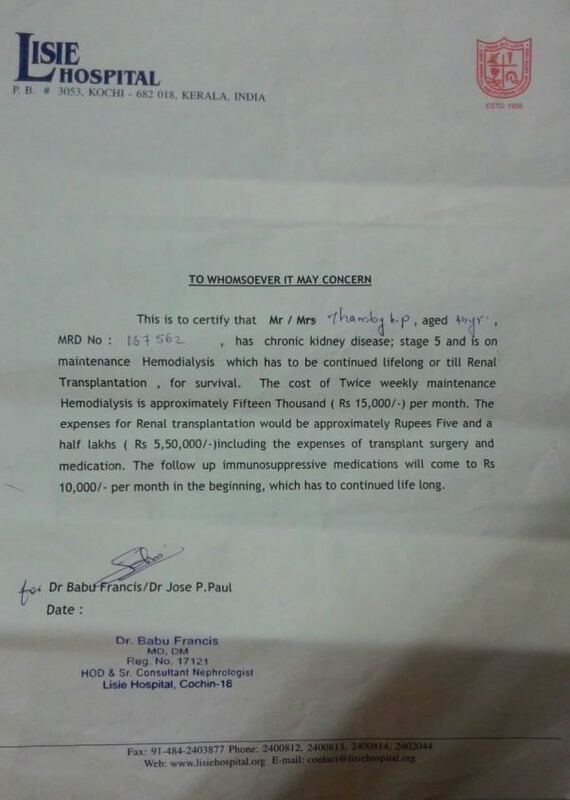 I am required to undergo Dialysis 2 times a week since the last 4 month due to the failure of my transplanted Kidney. I am the only source of income for my household which comprises of 2 children, a housewife and my parents whose poor health continues be an issue that worries me right now. But badly enough, I haven't been able to earn a single rupee for them since the day I was first diagnosed with Kidney Malfunction 2 years ago. And yet, I remain to be a Hospital Bed due to my Health issues for which the doctors have ordered me to quit my old job as a "welder" since I will never be able to do such a job which requires severe hard work. And so, as a matter of fact, both mine and my family's fate is in jeopardy. 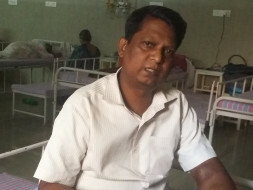 Doctor has already advised me to undergo another Kidney Transplant as soon as possible as I am already weak due to my age and due to the fact that I had already undergone a Kidney Transplantation 2 years ago for which my wife had donated one of her Kidneys which has now ceased to work and has resulted in me undergoing Dialysis. 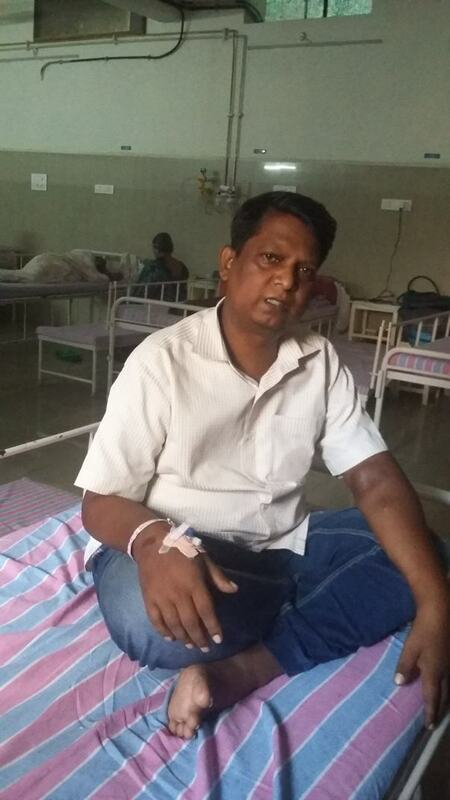 As I have already said before I am Welder and so as you can imagine I haven't been able to make much of a wealth and fortune for my family and due to which I had to sell everything to undergo the Kidney transplantation earlier and I have been left with the nothing now. And now I depend on donations from my social circle and funds raised from Goodhearted human beings like you. I along with my friends and family are trying our best to raise donations which would ultimately result in discovering and financing a Kidney Donor whose organ would satisfy the medical requirements as prescribed by the doctors so that I can undergo the "RENAL TRANSPLANTATION" as soon as possible. 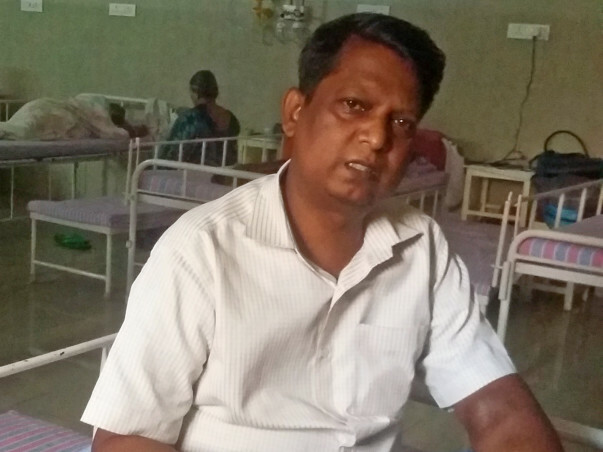 I will appreciate any contributions from you so that I can undergo the transplantation as soon as possible and help me and my family live a better life.